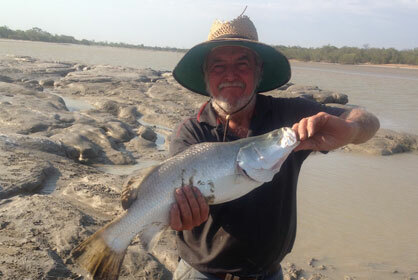 Don’t miss the Derby Boab Festival. Activities are scheduled for June/July in 2017. Choose from a day tour, overnight tour or even a 4 night adventure cruise. With seaplanes, helicopters, houseboats and fast boats, Horizontal Falls Seaplane Adventures has the ultimate Horizontal Falls experience for you. Enquire at the front desk about storing your caravan with us while you do the overnight tour or 4 night adventure cruise. 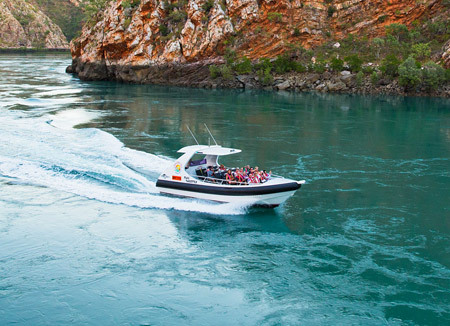 Derby Bus Service offer the ultimate Windjana Gorge and Tunnel Creek experience! 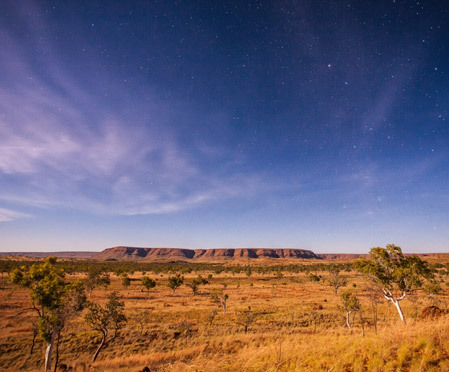 You will also have a local guide who will expand your understanding of Aboriginal culture. You will explore the beautiful Windjana Gorge and Tunnel Creek, beneath Napier Range, while learning all about their formation. Also learn about the Bunuba people and their connection to the area. 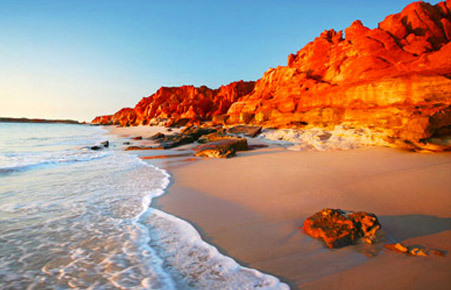 Cruise the remote pristine coastal wilderness areas of the Kimberley Coast with One Tide Charters. With cruises ranging from 5 – 15 days, there is the perfect option to suit everyone. Enquire at the front desk about storing your caravan with us while you go on your adventure. to 12 metres they’re the highest in the southern hemisphere. 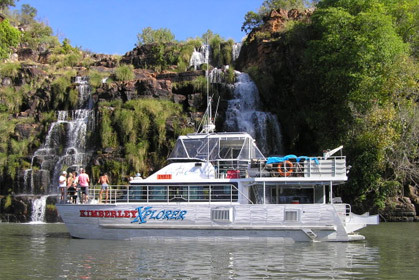 Offering a range of scenic tours from a local 30 minute scenic of Derby to the extensive 6 hour Kimberley Spectacular. 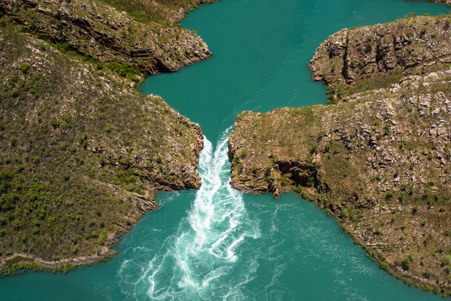 See the Kimberley on all its glory from the sky with North West Bush Pilots. 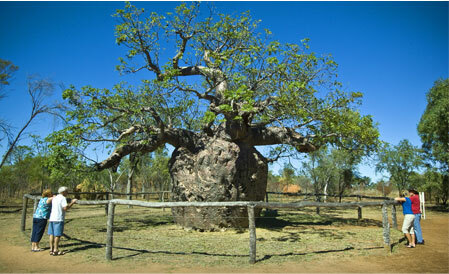 Located 7km from Derby on the Derby – Broome Highway this huge Boab tree is believed to be around 1,500 years old. It was used as staging point for prisoners being walked into Derby. 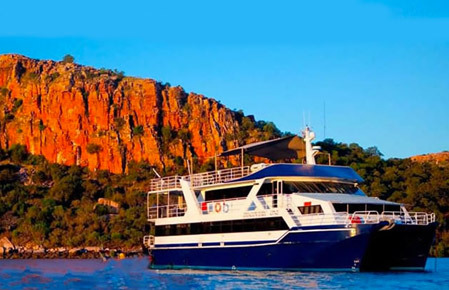 Discovery One Kimberley cruises are designed to show you the best of the Kimberley coast, while also exploring less well-known places they have discovered. Be prepared for an adventure! 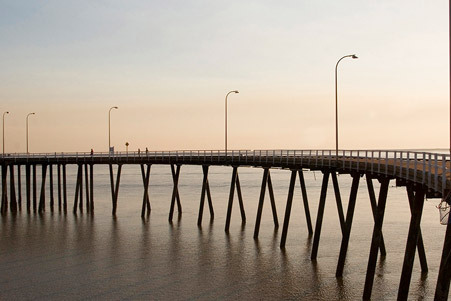 Book a fishing tour or walk to the local wharf at high tide. Originally constructed in the 1960s to transport stock from surrounding cattle stations, the Gibbb River Road stretches some 660km from King Sound in Derby to Wyndham. The scenery is spectacular and there are many must-see spots along the way! The Gibb River Road conditions vary from sealed to unsealed and is only suitable for four wheel drive vehicles and not recommended for towing caravans, trailers or boats. Ask us about storing your caravan here at the park. Book a tour to experience one of the greatest natural wonders of the world. The phenomenon is caused by huge tidal movements forcing masses of seawater through a narrow gap in the high cliff walls. 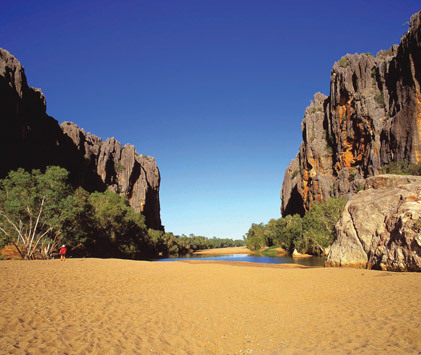 Windjana Gorge National Park is part of a 375 million-year-old Devonian reef system. 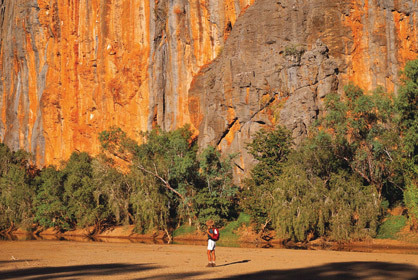 Carved by the Lennard River, Windjana Gorge is over three kilometres long with 300 metre-high walls. The National Park is 145 kilometres from Derby and the only access is by unsealed roads. Another Derby must! 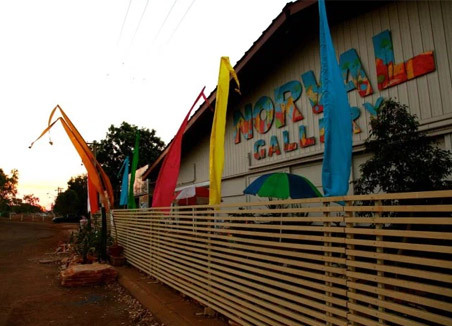 Drop in here to view local artwork and you may even get to meet Mark Norval himself. He is a very talented artist and also very friendly if you have any questions for him. 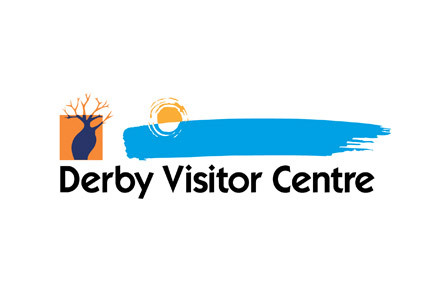 For everything Derby and surrounds visit the friendly team at the Derby Visitor Centre. If you are looking for maps, brochures, things to do or more information on nearby attractions this is the place to go.